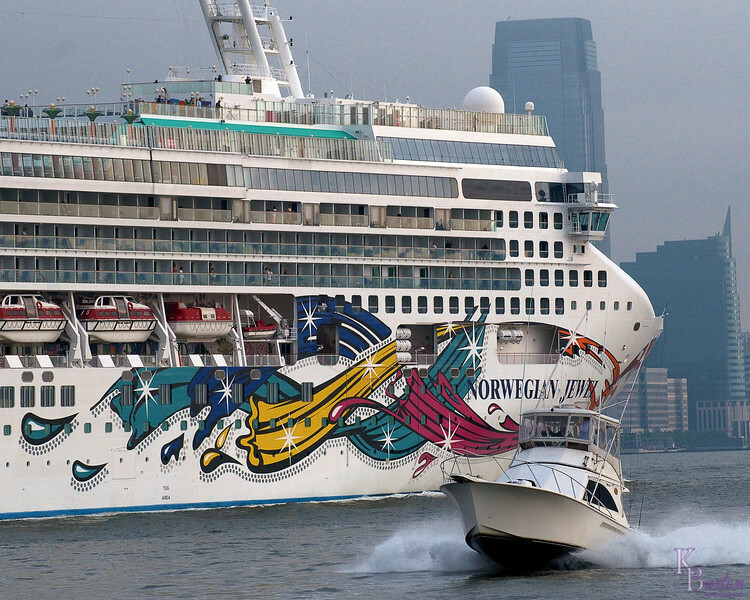 Love this..........how the Norwegian Jewel does not overshadow the smaller boat...........love how you included them together in the capture!!!!! Nice shot, I have been on that ship! Great comp with the small(er) boat in the foreground really emphasizes the size of that ship!